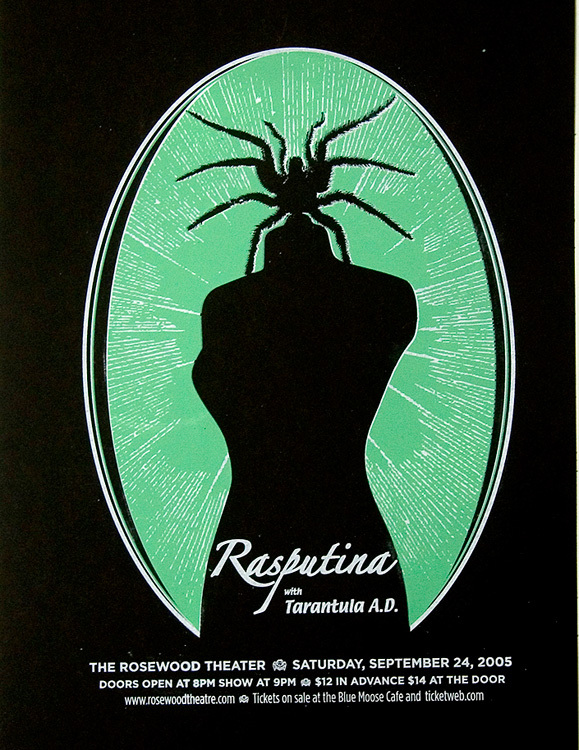 Rasputina with Tarantula A.D. silkscreen poster. Hand screen printed poster for Rasputina’s show on Sept. 24, 2005 at The Rosewood Theater, Morgantown, WV. 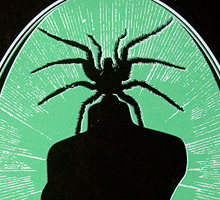 2-color screen print, with white and green inks. Edition of only 64 & there are just a few left! Size 14″ x22″ Paper: 100% cotton rag, acid-free Stonehenge Black, 90lb cover.